Author, lecturer, radio host, film producer, orchestra conductor, and co-founder of the hugely popular Prager University—an online institution of higher learning where all the courses are five minutes long—Dennis Prager has a resume a mile long, and he is one of only a few in the public eye who is speaking out on behalf of premium tobacco and the over-regulation of the U.S. Food and Drug Administration (FDA). 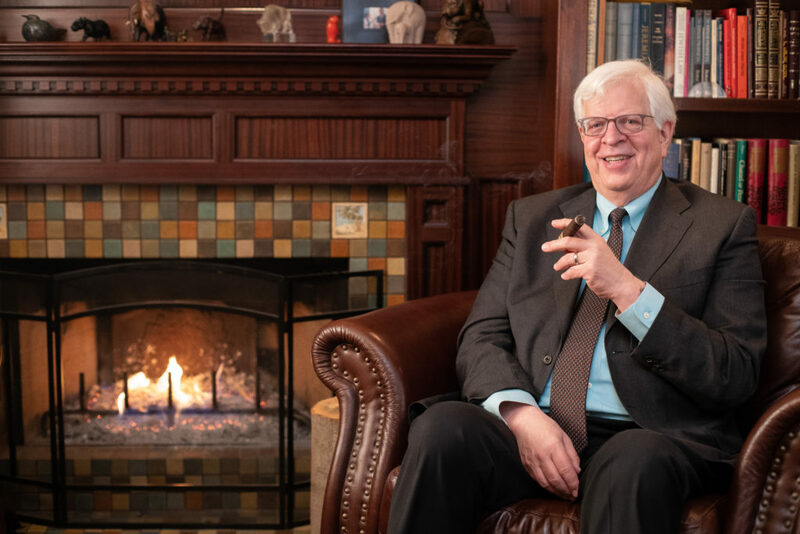 I recently attended one of Prager’s lectures on a subject completely unrelated to premium tobacco; however, during the lecture, he mentioned doing a weekly video segment called “Fireside Chats” where he smokes a cigar and just talks. I knew I had to pick his brain a bit, so I sat down with Prager to talk about cigars, how the FDA is harming the industry, and what we can do to stop it. Cigars & Leisure: What do you love most about smoking cigars? 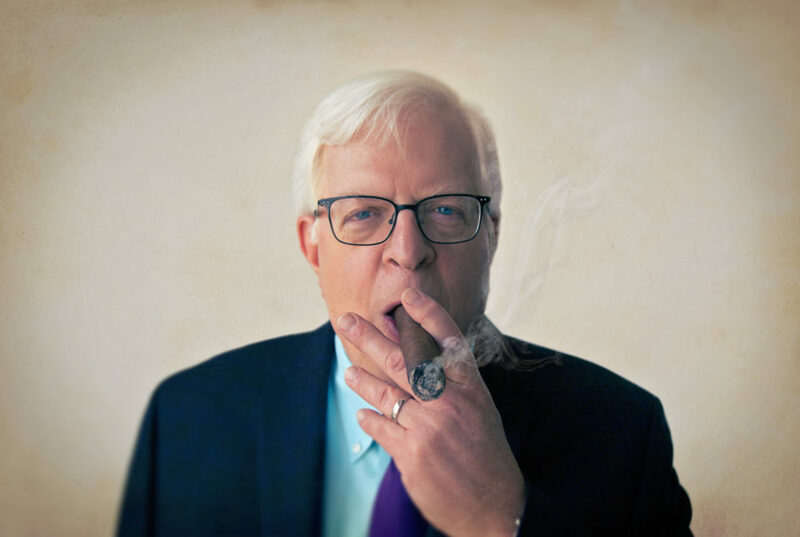 Dennis Prager: I’ve been smoking cigars since I was a teenager. My father smoked cigars constantly—until he died at age 96—undoubtedly, in the view of the anti-smoking crowd, from the effects of secondhand smoke. When I was about 17 years old, I asked my father if I could try a cigar. He said yes, and we were both surprised I really liked it. I went on to smoke cigars (and a pipe) throughout my life. I love the taste of tobacco—though I never liked cigarettes. I love smoking a cigar alone while writing my books and articles, and I love smoking a cigar with my two sons or with friends. It is very bonding. 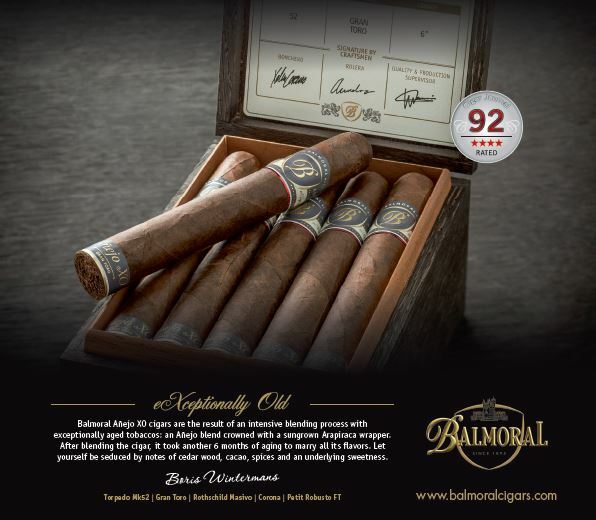 How many cigars do you enjoy a week? I smoke a cigar every day when I’m home—and try to smoke every day when on the road lecturing, which is about a hundred days a year. The moment I arrive in a city, I try to find a cigar lounge. Tell us a bit about your fireside chats you do weekly, and where can people listen/watch them? Aside from my own website, dennisprager.com, I have a website called Prager University—prageru.com—which garners a billion views a year. We release a five-minute course every week on virtually every subject except the natural sciences. I also do a weekly half-hour “Fireside Chat”—literally next to the fireplace in my home—accessible through prageru.com, and I smoke a cigar the whole time. 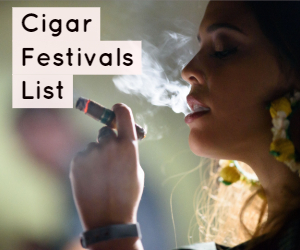 Do you have a favorite cigar or cigars? The stronger the cigar, the more I like it. Which is pretty funny considering that just a little red wine gives me a headache or makes me sleepy. 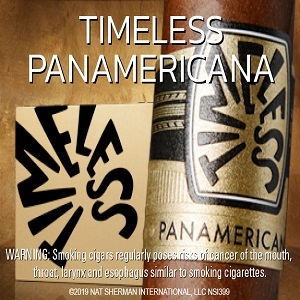 But most important is this: I much prefer Nicaraguan and Honduran cigars to Cuban cigars. People often give me cigars as a gift, and frequently the cigars are Cuban. I give those away as gifts. Generally speaking, I don’t like Cuban cigars. Nicaraguan are my first choice because they tend to be both strong and flavorful. 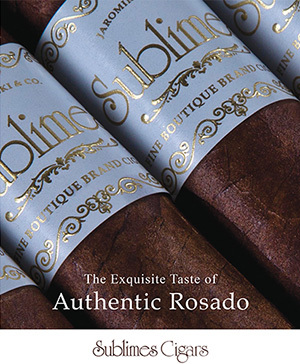 My Father is perhaps my favorite line of cigars, but I smoke many different brands. I also like Honduran, and I like some Dominican—but not many because, though they are very well-made, they are rarely strong enough. The one Dominican exception is La Flor Dominicana Double Ligero, which is one of my all-time favorite cigars. You wrote a fantastic essay some years back about “Why I Smoke Cigars,” and in it you talked about hanging out with the legendary George Burns and smoking cigars with him. What was that like? Why is it so harmful to the cigar industry for the public and the FDA to lump in premium tobacco with Big Tobacco? It is harmful, first and foremost, because it is a lie. The anti-tobacco activists regard truth the way you and I regard used tissues. They believe they are permitted to lie—for example, about cigars being as dangerous as cigarettes or about how many people die of exposure to secondhand smoke—because their self-image is that of angels fighting devils. And when you fight devils, you are permitted to lie. Why should we, the consumers, be concerned about all the regulations the FDA is putting on premium tobacco? What are you most concerned about with these regulations? As I wrote 25 years ago, only a society with a broken moral compass goes after tobacco rather than alcohol. How many people are killed and maimed by smoking drivers as opposed to drunk drivers? How many women are beaten by drunk boyfriends and husbands as opposed to smoking boyfriends and husbands? How many children are molested by adults who have been drinking compared to adults who have been smoking? Second, these regulations put decent people out of business. Some of my favorite people run cigar lounges, and fools and bullies in government simply put them out of business. Third, these regulations are totalitarian. I live near Burbank, California, which bans smoking cigars in cigar stores. I am amazed that anyone in the cigar industry votes Democrat. Do you think the industry has a chance to reverse the regulations? The industry needs smart publicists to fight the totalitarians. It needs to raise public awareness. And people like me with a large audience on radio and the internet must keep shouting. How can consumers best help the industry fight over-regulation? Tell the politicians you won’t vote for them or their party.